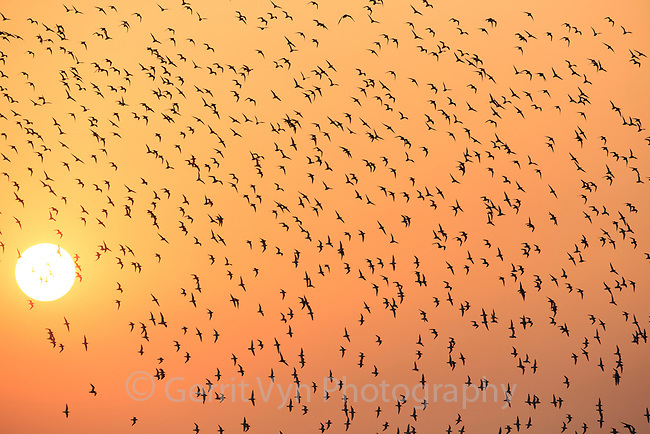 A flock of long distance migrant Great Knots (Calidris tenuirostris) fly in front of an afternoon sun turned orange by air pollution. Great Knot populations have been steadily decling due to ahbitat loss in the Yellow Sea. Yalu jiang, China. April.